Please help us find Lacey! 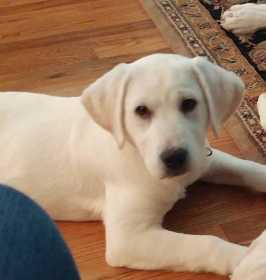 She is a 4 month old white lab. She is very sweet and will come to you when called. She went missing off Third Ave and Flat Rock Rd in Iva, SC. If you know anything, please call us.